Anthropogenic impact over the Pasvik River (Arctic Norway) is mainly caused by emissions from runoff from smelter and mine wastes, as well as by domestic sewage from the Russian, Norwegian, and Finnish settlements situated on its catchment area. In this study, sediment samples from sites within the Pasvik River area with different histories of metal input were analyzed for metal contamination and occurrence of metal-resistant bacteria in late spring and summer of 2014. The major differences in microbial and chemical parameters were mostly dependent on local inputs than seasonality. Higher concentrations of metals were generally detected in July rather than May, with inner stations that became particularly enriched in Cr, Ni, Cu, and Zn, but without significant differences. Bacterial resistance to metals, which resulted from viable counts on amended agar plates, was in the order Ni2+>Pb2+>Co2+>Zn2+>Cu2+>Cd2+>Hg2+, with higher values that were generally determined at inner stations. Among a total of 286 bacterial isolates (mainly achieved from Ni- and Pb-amended plates), the 7.2% showed multiresistance at increasing metal concentration (up to 10,000 ppm). Selected multiresistant isolates belonged to the genera Stenotrophomonas, Arthrobacter, and Serratia. 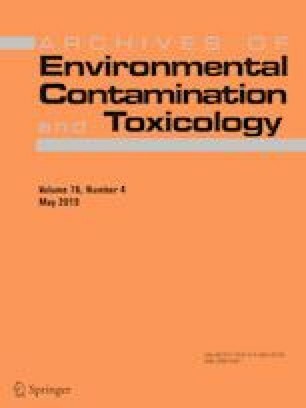 Results highlighted that bacteria, rapidly responding to changing conditions, could be considered as true indicators of the harmful effect caused by contaminants on human health and environment and suggested their potential application in bioremediation processes of metal-polluted cold sites. The online version of this article ( https://doi.org/10.1007/s00244-019-00628-7) contains supplementary material, which is available to authorized users. This research was supported by grants from the INTERACT Transnational Access EU Program within the project SpongePOP “Sponge associated culturable microbiome able to degrade persistent organic pollutant along the Pasvik River and the Bokfjorden (Norway).” The authors thank the INTERACT coordinator Hannele Savela, and Lars Ola Nillson at the NIBIO Svanhovd Research Station (Svanvik, Pasvik Valley) for his continuous logistic support, which allowed us to perform successfully all of the lab and field work planned. Angelina Lo Giudice and Carmen Rizzo wrote the paper; Simona Caputo helped to write the paper and performed microbiological analyses; Federica Moscheo performed microbiological analyses; Stefania Giannarelli, Massimo Onor and Stefano Miserocchi performed sediment analyses and revised the paper; Maurizio Azzaro, Antonella Conte, Maria Papale, Marco Graziano and Paul Eric Aspholm participated to the sampling campaigns and helped to write the paper; Luigi Michaud, Angelina Lo Giudice and Maurizio Azzaro designed the research experimentation; Emilio De Domenico revised the paper. All authors read and approved the final manuscript.